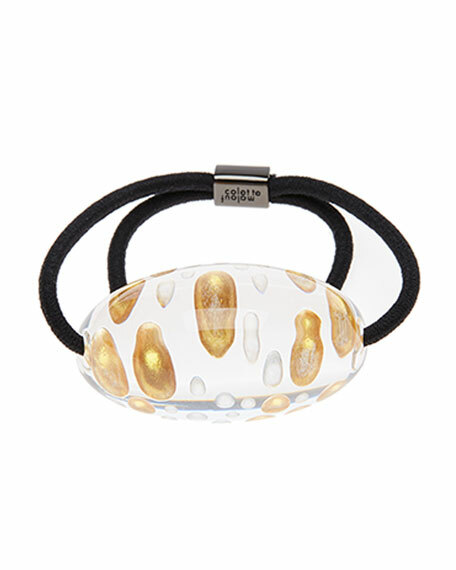 Colette Malouf "Galaxy" ponytail holder. Featuring Lucite® acrylic piece with gold paint detail. For in-store inquiries, use sku #2483444.